114 line illus. 10 tables. Networks of relationships help determine the careers that people choose, the jobs they obtain, the products they buy, and how they vote. The many aspects of our lives that are governed by social networks make it critical to understand how they impact behavior, which network structures are likely to emerge in a society, and why we organize ourselves as we do. In Social and Economic Networks, Matthew Jackson offers a comprehensive introduction to social and economic networks, drawing on the latest findings in economics, sociology, computer science, physics, and mathematics. He provides empirical background on networks and the regularities that they exhibit, and discusses random graph-based models and strategic models of network formation. He helps readers to understand behavior in networked societies, with a detailed analysis of learning and diffusion in networks, decision making by individuals who are influenced by their social neighbors, game theory and markets on networks, and a host of related subjects. Jackson also describes the varied statistical and modeling techniques used to analyze social networks. Each chapter includes exercises to aid students in their analysis of how networks function. This book is an indispensable resource for students and researchers in economics, mathematics, physics, sociology, and business. 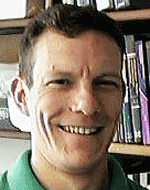 Matthew O. Jackson is the William D. Eberle Professor of Economics at Stanford University.